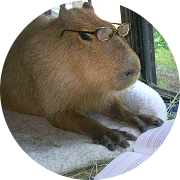 Capybara with Given/When/Then steps in acceptance testing.Many of us use cucumber to write acceptance tests. We must to say it’s very nice tool that allows you to write features in English plain text. The main goal is provide interface that should be clear for Customer(non-programmer) and Developer. Feature: User signup As a user I want to sign in So I can use service features Background: Given user with "jack@daniles.com" email and "qwerty" password Scenario: Signing in with correct credentials When I go to sign in page And I fill in "email" with "jack@daniles.com" And I fill in "password" with "qwerty" And I click "Login" button Then I should see "Welcome, jack@daniles.com!" Scenario: User tries to sign in with incorrect password When I go to sign in page And I fill in "email" with "jack@daniles.com" And I fill in "password" with "bla" And I click "Login" button Then I should see "Invalid credentials"
And I fill in "email" with "jack@daniles.com"
And I fill in "password" with "qwerty"
Then I should see "Welcome, jack@daniles.com!" And I fill in "password" with "bla"
Then I should see "Invalid credentials"
Previously we also use cucumber as tool for user stories. Lately we found that our customers NEVER read cucumber features. So do we need it anymore? Let’s check alternatives.As you probably know, cucumber use internally Capybara for steps implementation. And there is even more – latest version of Capybara comes with a built in DSL for creating descriptive acceptance tests!So we decided to switch to pure rspec+capybara testing. We moved our features to spec/acceptance directory. Let’s look at rspec+capybara example. page.fill_in "email", :with =&gt; "jack@daniles.com"
page.fill_in "password", :with =&gt; "qwerty"
page.fill_in "password", :with =&gt; "bla"
Feature description and feature implementation are located together. If you decided to switch from Cucumber to Capybara acceptance testing try rspec-example steps gem.With this gem you may use Given/When/Then steps into rspec example! Does not hack RSpec Example. It only extends it. And enjoy Given/When/Then step usage!